Former Army Ranger and thief Van Shaw is thrust into danger as lethal and unpredictable as the war he left behind in this emotionally powerful and gritty follow up to the acclaimed Past Crimes.When an old crony of Van Shaw’s late grandfather calls in a favor, the recently-discharged Ranger embarks on a dangerous journey to the Olympic Mountains, in search of a missing girl tied to Van’s own criminal past. 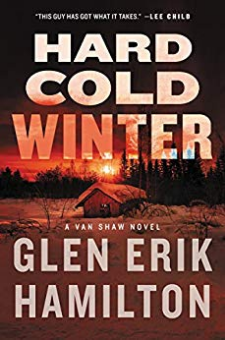 What he finds instead is a brutal murder scene, including a victim from one of Seattle’s most influential families.But the dead bodies are only the start of Van’s troubles. A fellow Ranger from Afghanistan turns up at Van’s doorstep, seeking support from his former sergeant even as Van wrestles with his own reemerging symptoms of PTSD. The murder investigation leads to heavy pressure, with a billionaire businessman on one side and vicious gangsters on the other, each willing to play dirty to get what they want.The price of his survival may be too high, demanding moral compromises that could destroy Van’s relationship with his iron-willed girlfriend, Luce. And when a trusted friend’s betrayal pushes him to the edge, Van has to enlist help from some unexpected places—including someone he believed was lost forever.The Ranger will need every ally he can get. A powerful, unseen player is about to unleash a firestorm on Seattle that will burn Van and his people to ashes—and it will take a miracle to stop it.